US, Florida. John F. Kennedy Space Center. Rocket Garden at the Visitor Complex. 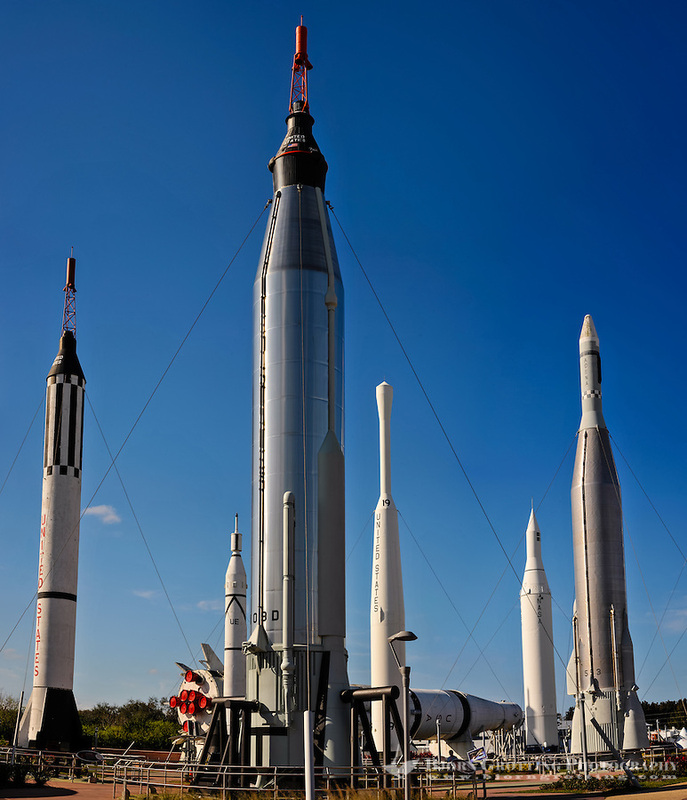 From left: Mercury-Redstone, Saturn IB (in background), Juno I, Mercury-Atlas, Thor-Delta,Juno II, and Atlas-Agena. Stitched panorama.